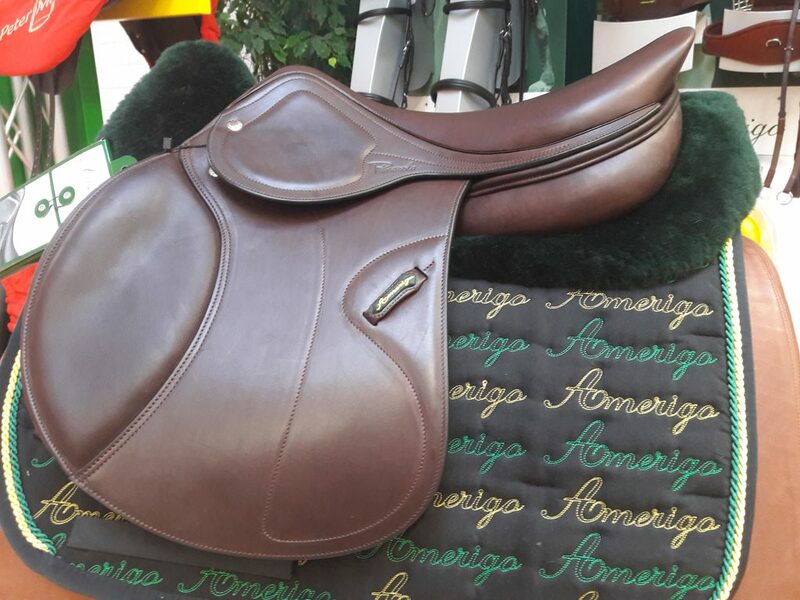 NEW to the Amerigo range is the fabulous option of having a saddle created from high ‘Grip Leather’, hardwearing, stronger and more versatile leather ideal for riders looking for that extra grip, close feel and support in the saddle. The perfect compromise between calfskin and plain or printed leather, the ‘Grip Leather’ does not require reinforcement on the flap and also allows for the padding on the skirt/jockey flap to be reduced, giving a less bulky finish. The ‘Grip Leather’ is available on a variety of saddles including the Pasubio Siena Pinerolo Saddle. The seat and kneepads are still made with calfskin leather as usual.